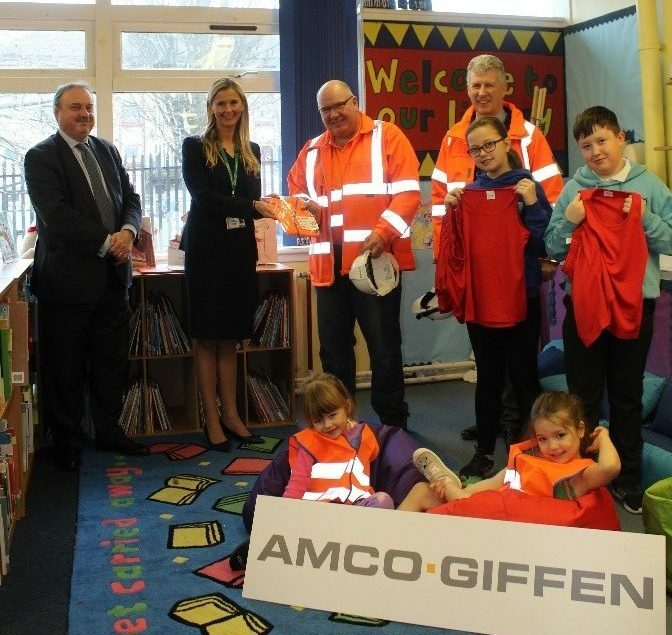 Thank you to our partners, AmcoGiffen for their contribution to the local community. 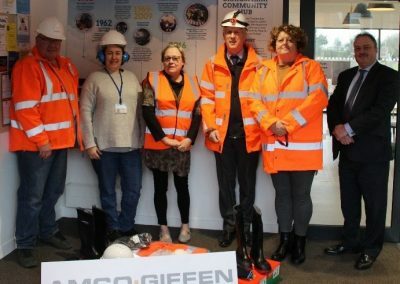 A wide range of equipment was procured through their trusted supplier Safeaid LLP, which included personal protection equipment, from hi-viz jackets to gloves and boots. 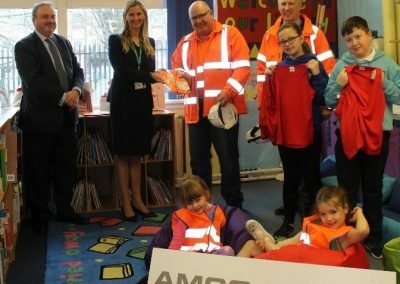 David Blackwood and Allan Smith, Contracts Manager and Site Manager from AmcoGiffen were on hand alongside West Lothian Council representative Scott Robertson to distribute items into the community. Kate Storrow and her team at Craigsfarm will benefit greatly from a range of PPE. 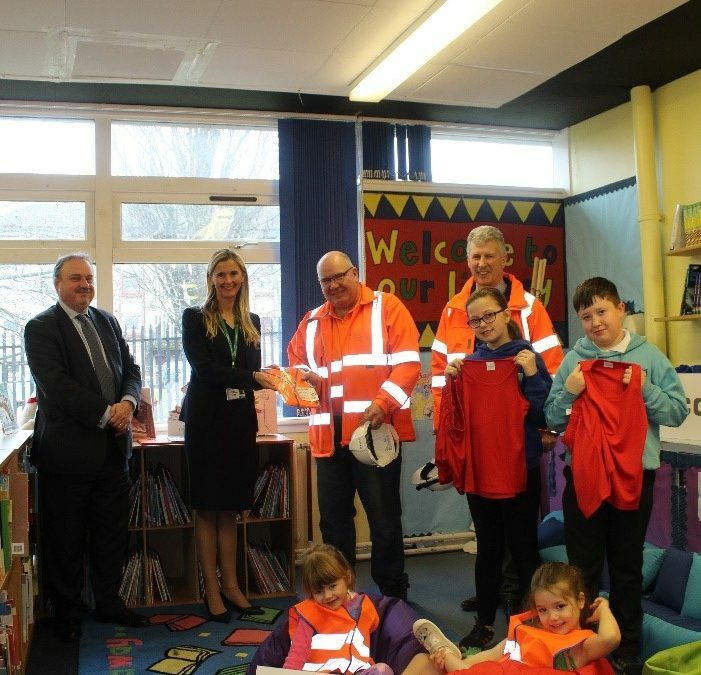 Miss Wallace, headteacher at Letham primary school with pupils from P7 and the nursery, received hi-viz vests and new basketball kits. 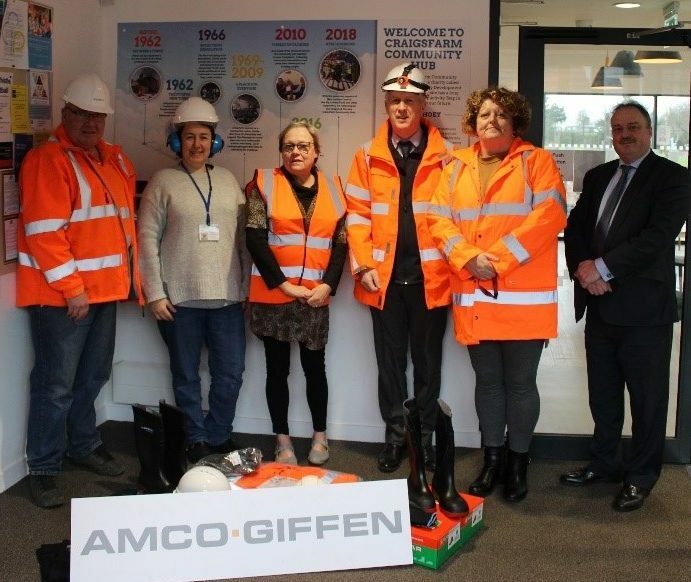 The Riverlife team at the Forth Rivers Trust and West Lothian Council greatly appreciate the work AmcoGiffen are delivering at the Howden weir. AmcoGiffen’s contribution will aid local groups to care, maintain and enjoy the River Almond for the foreseeable future.